Boston MBTA accident lawyer Christopher Earley has represented many people injured in MBTA (Massaaccidents Bay Transportation Authority) accidents. Based on the volume of people transported by the MBTA each day, it is sadly true that when accidents happen, many people tend to be injured. Accidents caused by the MBTA and it’s employees are quite common. These accidents sometimes happen on MBTA property. Other times they can happen away from MBTA property in the form of bus, commuter rail, or trolley accidents. These accidents can result in personal injuries ranging from neck and back strains, broken bones, to catastrophic injuries, and even death. Our office has extensive experience with the MBTA in settling these negligence cases both before, and after suit is filed. The MBTA legal department is usually inundated with cases as these matters frequently take extensive time to settle. As a transporter of tens of thousands of people each day, the MBTA is considered a “common carrier.” This is the highest duty of care in personal injury law. Any breach of this high standard is considered negligence. There are some important time limits on claims against the MBTA to keep in mind. First, notice must be sent of your claim within two years of the date of the accident. Legally, this is called presentment, and the presentment letter must be sent certified mail, return receipt requested, and it must contain specific information about the claimant (the one making the claim) and the specific facts about what happened in the accident. The statute of limitations for MBTA accidents is 3 years. Also, any lawsuit filed for personal injury against the MBTA must be filed in the Superior Court. 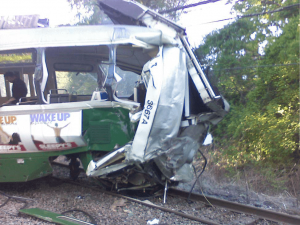 If you had an MBTA accident call today for your free, no-obligation consultation. We have years of experience successfully settling these cases and we welcome the opportunity to help you with your your case. We are Boston lawyers that successfully handle MBTA accident cases.